Danatronics' new BoresEye DC series of articulating video probes offer unsurpassed image quality, portability, documentation and affordability. 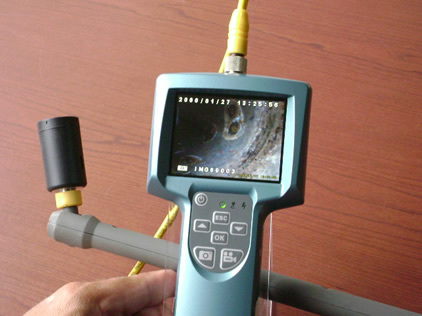 The DC series of waterproof CCD cameras are available in 5/5mm, 6.0mm, 8.0mm, and 11.0mm with 2 or 4 way articulation in various lengths from 0.4M to 5M. The BoresEye can save stills and video on SD cards with easy export to your computer to document all your critical video inspections. 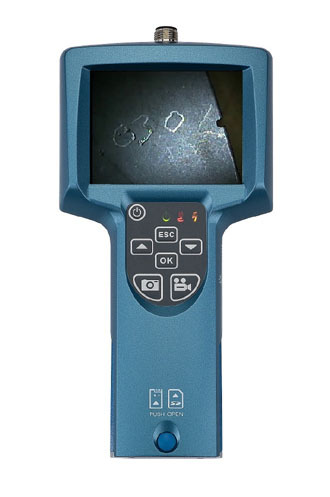 The BoresEye also offers long battery life, a 3/5" high resolution TFT display, video output and variable lighting.